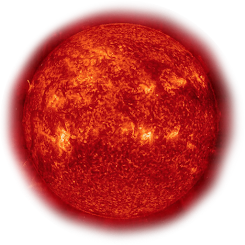 The new observations are sharp enough to show that the giant star is smaller than previously thought, making it much more difficult to explain how the red giant lost matter to its companion. The astronomers now think that, rather than streaming from one star to the other, the matter must be expelled from the giant star as a stellar wind and captured by the hotter companion. “These observations have demonstrated the new snapshot imaging capability of the Very Large Telescope Interferometer. They pave the way for many further fascinating studies of interacting double stars,” concludes co-author Jean-Philippe Berger. 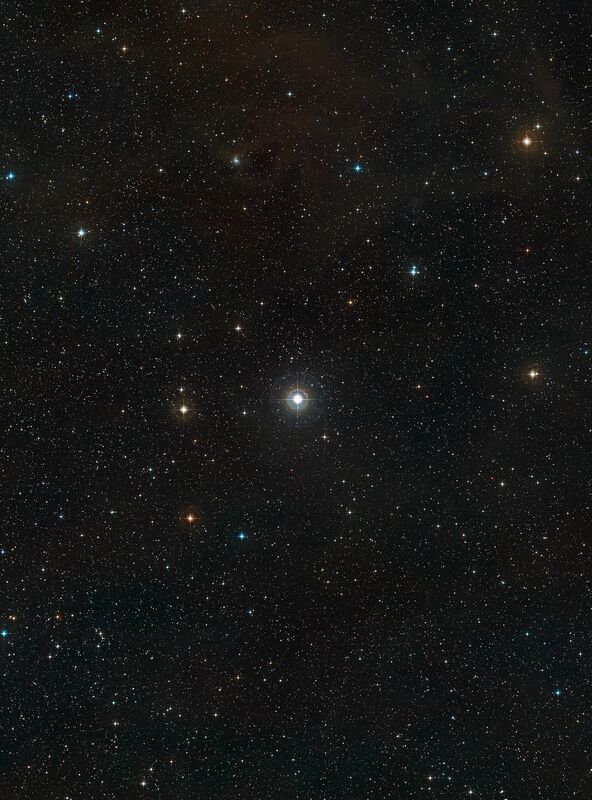 ESO/Digitized Sky Survey 2. Acknowledgment: Davide De Martin.